How I Became a #BetterMe! | Vanity and Everything in Between. My family used to go to the beach a lot when I was a kid – probably up to my teen years. Our clan also has a swimming pool in the province so we have an easy access when it comes to swimming and getting a tan. You could probably guess my next sentence. Of course, being the beach bum that I was, my skin was always tanned. Not just tanned, it was burned. I was always swimming in the beach or pool and didn’t care much on how the sun was already burning my skin. I didn’t apply sunblock as I didn’t think I need it because I have fair skin anyway. I always thought my original skin colour would come back after some time or after summer. But it didn’t. Plus, I was young. I didn't know anything about skin care! People started making comments about my skin tone - asking questions why I was so dark when my mother was so fair. You get the idea. Some even retorted that I may be an adopted child. Let’s be honest here, having fair skin is initially synonymous to a lot of good things. I’m not going to lie, the comments did hurt me. I may have argued with my classmates back then defending my side but everything that was said about me was what triggered me to improve myself. I had to find a way to become a #BetterMe. Today, I’m giving tips on becoming a better version of yourself (inside and out). 1. Do not dwell on what people say about you. No matter what you do or don’t do, people will always say something about you. People will always think they are entitled to say things [aka opinion] even if it’s already hurtful. Know early on that you can’t please everyone. If you find out people are talking about you, nudge it off and move on. I know it’s easier said than done. If you want, you can confront those people. Or you can just stop thinking about it and move on to a positive note. Don’t let those opinions define you especially when you know it’s not true. 2. Look at criticisms as constructive criticism. If you can’t stop dwelling on what people say about you, turn it around to a positive vibe. Use it as motivation to be better not bitter. In my case, I was once called an ugly duckling for having dark skin. Instead of moping and sulking it in, I told my mom to buy me whitening products to help me get back to my original skin tone. Come to think of it, I did look quite unkempt because of my very dark, burned skin. And I finally learned to use sunblock when swimming. Haha! 3. Love and take care of your body. 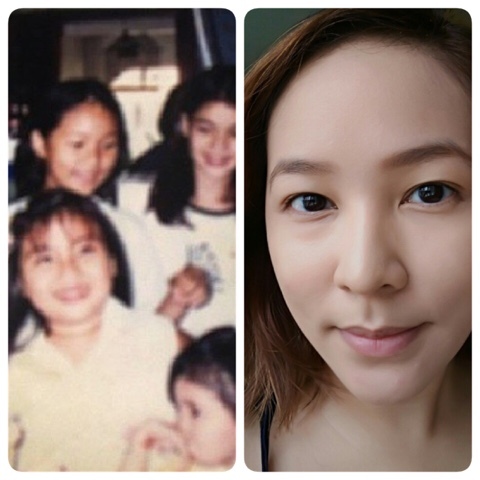 Believe it or not, I’m a late bloomer when it comes to makeup and skin care. I just didn’t care enough back then. But there came a saturation point and I realized I had enough so I had to improve myself. I started eating healthy food and started drinking milk and vitamins every day. For my skin, I started using whitening products like SkinWhite. The brand has a bar soap called SkinWhite Advanced Whitening Soap PowerWhitening* which smells so good! It smells so fresh and baby-like! 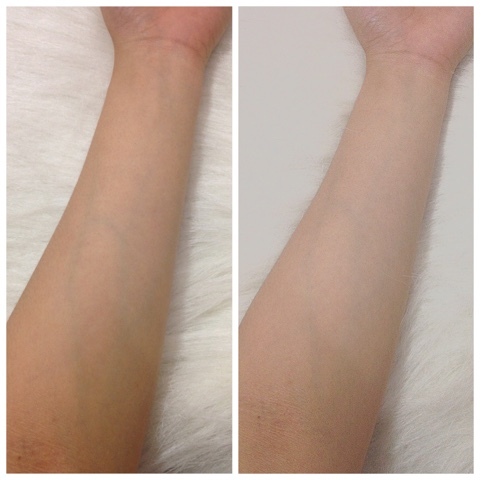 After shower, I use SkinWhite Advanced PowerWhitening Lotion* that instantly whitens the skin right after application! It’s the Advanced Tripower Technology that does the trick. Another factor to love about it is that it has SPF 20 so you are covered the moment you step out of the house. It’s not sticky at all so you don’t need to worry about it when you start to sweat. I use the lotion day and night and on those days when I feel extra dry. I always have a small bottle of this lotion in the office so I can apply lotion on my legs and shoulders whenever I’m feeling dry. It happens when you’re mostly inside an air-conditioned room. For my face, I use the SkinWhite Advanced Whitening Facial Cleanser* to remove excess dirt that the soap can’t remove. The cleanser has Witch Hazel Extract that helps remove pimples. Be pimple-free in just one weeks’ time! I use this day and night. After cleansing, I use SkinWhite Power Whitening Face Cream Powder as foundation. It has a cream to powder finish so I don’t need to set it with powder anymore! Whiter skin with continuous use. 4. Always smile and say Hi. A smile is contagious. It lightens up a bad day. Saying “hi” to people you know rather than ignoring them shows you’re polite and courteous. So, go say hi to a friend or acquaintance during a gathering. You never know what kind of great conversation you’re about to have! Those are some of my tips on how you can become a better version of yourself. I could go on and on but then this post wouldn't probably end. LOL! I hope I was able to help you in one way or another. To cap this post off, here's a SkinWhite video for y'all!